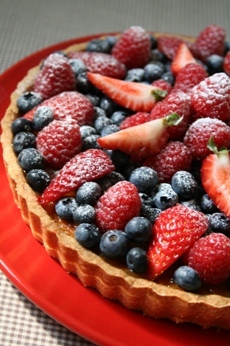 I love the berry season and love to make a tart with my favorite berries! This tart has the frangipane (almond paste cream) instead of custard cream. 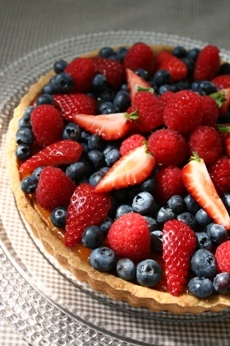 The aroma of the toasted almonds and the fresh berries are so delightful together. I dressed it up by adding some powder sugar on top.